Bronze memorial plaques are cast in bronze using a manufacturing process that combines age-old casting techniques with the latest technology to produce superior quality plaques. Our traditional cast bronze plaques lasts for generations inside or outside. Our bronze plaques are made with superior alloy and truly cast in sand, so they are thicker, harder and more durable than any mass-produced and routed plaque. This plaque includes decorative ornaments on either side with the background painted black, to create both a timeless and contemporary feel. There is a 1/4″ minimum letter height for lower case letters and 3/8″ for capital letters. A small size plaque will accommodate four lines with 18 characters per line. A medium plaque will accommodate five lines ranging from 20 -24 characters per line. A large plaque will accommodate six lines ranging from 20-30 characters per line. Note that additional sizes are available, and our designers will take your text and layout in an appropriate design. There are a few mounting methods available for our memorial plaques. Installation is simple with instructions and all hardware included in each package. 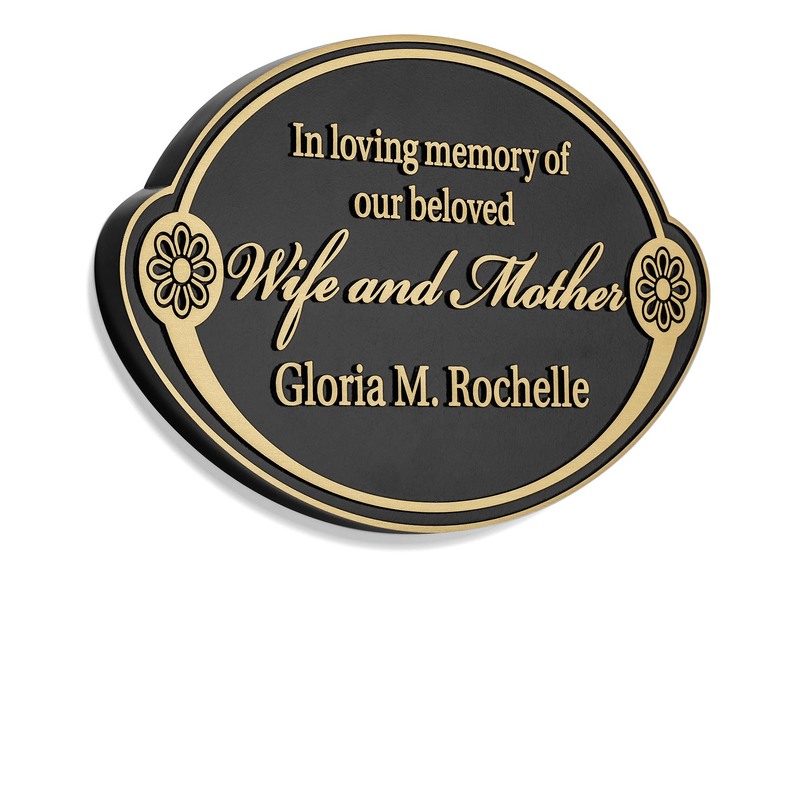 Bronze memorial plaques are an elegant and respective way to memorialize a loved one or recognize a donor. 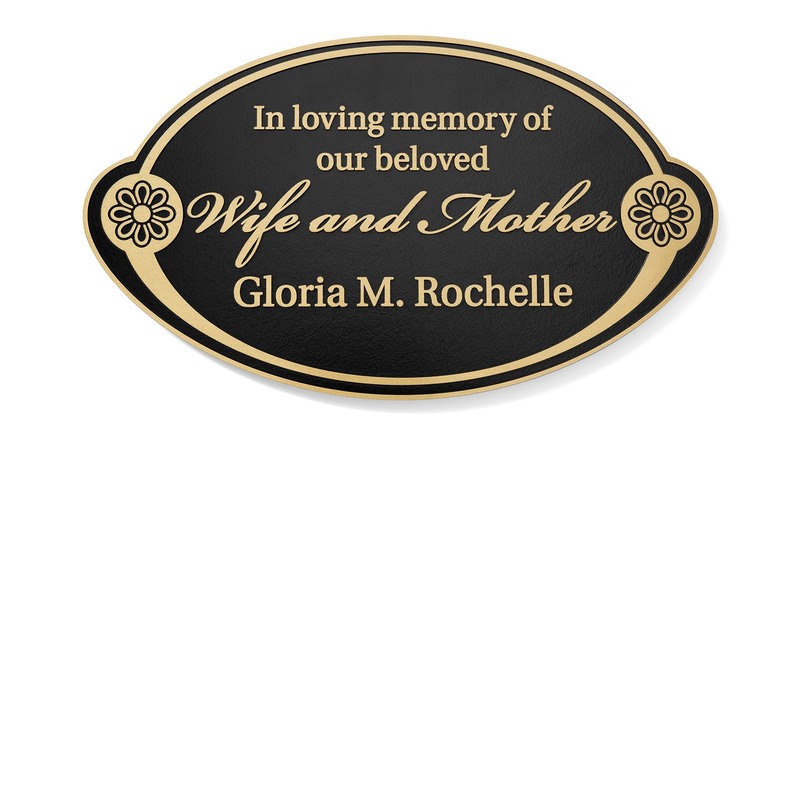 Fill out the form below to see what your Bronze Memorial Plaque will look like. Cast in bronze, the background can be painted.